Tens of thousands of men and women have left comfortable, privileged lives to join the Islamic State of Iraq and Syria—and kill for it. To them, its violence is beautiful and holy, and the caliphate a fulfillment of prophecy and the only place on earth where they can live and die as Muslims. The Way of the Strangers is an intimate journey into the minds of the Islamic State’s most radical true believers. From the streets of Cairo to the mosques of London, Graeme Wood interviews supporters, recruiters, and sympathizers of the group. We meet an Egyptian tailor who once made bespoke suits for Paul Newman and now wants to live, finally, under Shariah; a Japanese convert who believes that the eradication of borders—one of the Islamic State’s proudest achievements—is a religious imperative; and a charming, garrulous Australian preacher who translates the group’s sermons and threats into English and is accused of recruiting for the organization. We also learn about a prodigy of Islamic rhetoric, now stripped of the citizenship of the nation of his birth and determined to see it drenched in blood. Wood speaks with non–Islamic State Muslim scholars and jihadists, and explores the group’s idiosyncratic, coherent approach to Islam. The Islamic State is bent on murder and apocalypse, but its followers find meaning and fellowship in its utopian dream. Its first caliph, Abu Bakr al Baghdadi, has declared that he is the sole legitimate authority for Muslims worldwide. The theology, law, and emotional appeal of the Islamic State are key to understanding it—and predicting what its followers will do next. Through character study and analysis, Wood provides a clear-eyed look at a movement that has inspired so many people to abandon or uproot their families. Many seek death—and they will be the terror threat of the next decade, as they strike back against the countries fighting their caliphate. 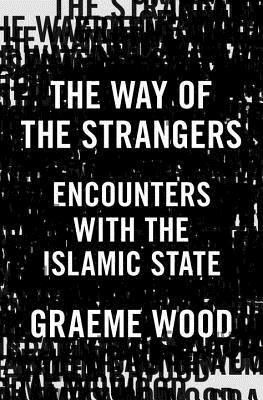 Just as Lawrence Wright’s The Looming Tower informed our understanding of Al Qaida, Graeme Wood’s The Way of the Strangers will shape how we see a new generation of terrorists. Graeme Wood is a national correspondent for The Atlantic. He has written for The New Republic, The New Yorker, Bloomberg Businessweek, The American Scholar, The Wall Street Journal, The New York Times, and many other publications. He was the 2014–2015 Edward R. Murrow Press Fellow at the Council on Foreign Relations, and he teaches in the political science department at Yale University.